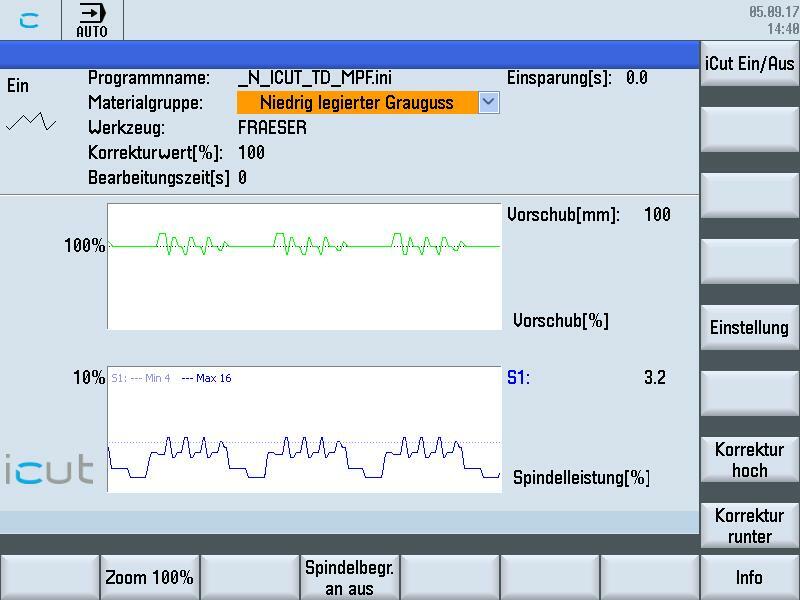 The intelligent software Comara iCut measures and adapts the cutting process. Up to 500 times a second, Comara iCut measures the spindle performance and automatically adapts the feed rate to the current cutting conditions. Whether there are deviations in allowances, differing cutting conditions, different cutting depths, workpiece structure fluctuations or incalculable tool wear. As quickly as possible, as slowly as necessary. The ideal feed in every situation. In a unique reaction time. Savings in production time of an average of 10% and increased process reliability at the same time!